This is a great book for people who wonder how they can take a more active role in ministries of compassion. After a decade of effort with little detectable progress, Pastor Andy Cannon experienced some remarkable events that led to the rapid birthing of several inner-city ministries the broken and oppressed in Denver. These ministries (such as Providence Network and Bud's Warehouse) have impacted the lives of many thousands of people and now serve as a model for many other inner-city ministries in the U.S. and internationally. 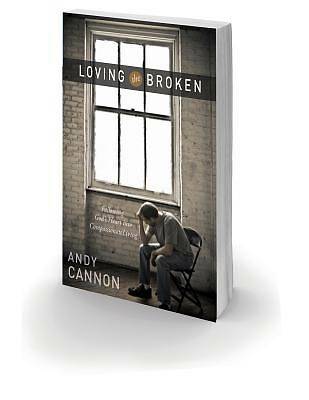 Loving the Broken chronicles the journey from Andy's dramatic conversion through the founding and success of these ministries, weaving true stories of the tragedy and triumph he has encountered--in his own and others' lives--as he followed God's call. Andy's passion is to help the reader "follow the trail of God's heart" in their lives as well. Throughout his story, he shares God's heart and the principles he has discovered in his journey that readers can take away for their own lives and ministries. The realistic descriptions of the long process of growth and change, accompanied by the ups and downs in his and others' lives, provide a heartfelt understanding of the process of growth and compassion for others.